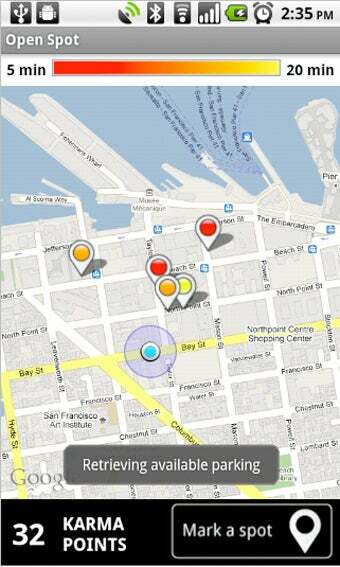 Google's new Open Spot Android app turns finding open parking spots into a social game. You earn "karma points" for marking down available parking spots while others earn open parking spots by tracking down those marked spots. Each time you mark down an available parking spot in Open Spot, you gain a karma point. The more karma points you get, the better you feel about yourself, or something like that. The marked spot shows up in the Open Spot app for 20 minutes and is shown in a time-sensitive color: red for freshly marked, orange for spots marked 5 minutes ago and yellow for spots marked 10 minutes ago.